Ultra-low budget (aka micro-budget) film-making has many of the same problems—and freedoms—as self-published comic book creators (e.g. funding, building and retaining a team, and distribution). Taurian Films is a micro-budget production company owned by BJ Lewis and based in Denton, TX, who is putting the finishing touches on season two of their show, Party Girl (for their May 4, 2015 release date). Taurian Film’s previous work includes a webseries called Insourcing; an office-centred comedy (with a lot of adult office banter), and a Power Rangers parody called Dial-A-Ranger. Their current show, Party Girl, is a weekly superhero series, which BJ produces, writes and directs. BJ spoke to Indyfest about it. IM: What is Party Girl about? BJL: Party Girl centres on Rachel Buchanan. She’s a girl like any other, trying to find her place in life, as she deals with the complications life throws at her. One of those complications was an overbearing mother, bound and determined to live her former gymnastics glory through Rachel. Rachel, who was a gymnastics prodigy, recognized this and quit, vowing to not be who her mother wanted her to be. 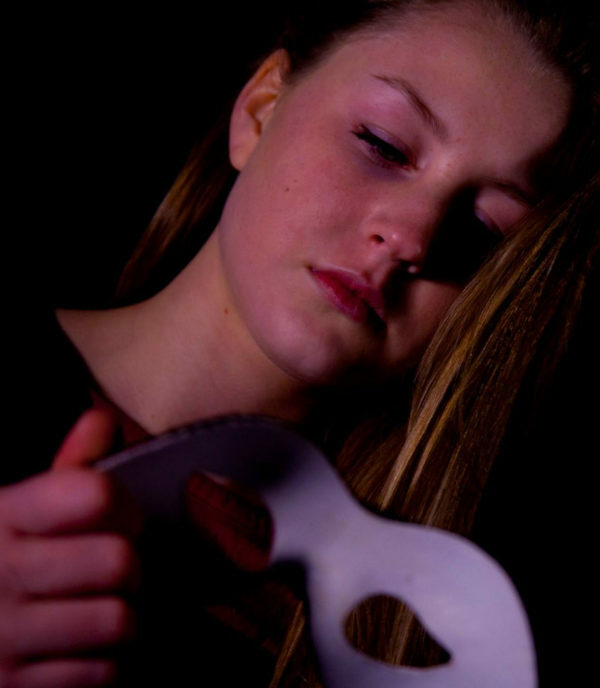 She stumbled into the Party Girl identity after stopping a fellow student from exacting revenge on the people that bullied him. She earned the name ‘Party Girl’ in that encounter as an insult from the boy and soon, rumors and innuendo helped it spread. 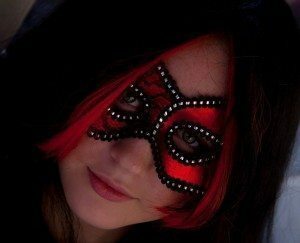 Rachel decided to run with it and truly become Party Girl, masked hero for Pyramid City. Of course, there is a lot more to it than that, as Rachel finds herself making friends, making enemies, and lying to those closest to her to keep her identity a secret. The first season sees Rachel becoming Party Girl and settling into the identity and the good she can do. The second season finds Rachel in a different place. She has become a local celebrity as Party Girl and spends more time posing for selfies than she does fighting crime. But even if she is ready to be off the streets, the enemies she has made are not as ready to let her go. IM: How did Party Girl get started? BJL: I started checking out a lot of web series online. I thought about trying to work up some sort of pitch package to try and get the attention of networks to even take a sniff at the project. When that actually started seeming to be more of a long-shot, I thought about doing it myself. I had done small, local, cheap shorts before. I could do it, I thought. I liked that idea anyway. What I wrote was going to be how it was; there was no need for me to have someone else edit the main show, because I was going to do it myself. So I wrote up the series. I’d had the character of Party Girl in mind since I was in high school and thought, with the tweaks I’d made over the years, that it would catch on. Not long after writing it, I began seeking casting for it, some of it coming from past projects I’d worked on with people in the DFW area, and a lot of people who were new to me as well. People dug the story and the opportunity to play the characters I had written and then, we were able to get the show going. IM: Who is its target audience? BJL: The typical demos for superhero shows on TV and in movies today. Men and women, boys and girls… probably ages 13 and up, for language’s sake. There’s no sexual content to the show, so anyone can watch, really, if they want to see a good dramatic story play out through the lens of a super hero. BJL: It’s an ongoing finite series. We’re in the midst of the second season and I have the third season planned, as I have a specific three-season story to tell. If someone came along and wanted to give us some money to fund more than that, I’d certainly take it and I have other stories I could tell, but right now, it’s set for three. BJL: Born and raised in Washington, DC. College educated in Louisiana, earning my bachelor’s degree from Louisiana Tech University. Currently living and working in Denton, TX, for the Denton Record-Chronicle. I cover county government and provide video content for the web. IM: Has being a journalist helped with film (in terms of contacts, promotion, etc…)? BJL: It’s helped in us being able to use certain locations. Museums, warehouse buildings, etc. It hasn’t really made an impact in promotion that I have noticed. It hasn’t helped in my wallet, I can tell you that. Journalists (at least me, anyway) don’t make much. And I put every dime I can scrape into this project. BJL: There are lots of web sites and forums and videos and such to help film-makers of all levels and budgets. What’s good about the internet is you can find information easily, but then again, you can find so much of it, you spend a lot of time trying to sift through and figure out what you need to pay attention to and what you can forget about. BJL: It is in some ways, yes. Since, for the bulk of them, it’s volunteered time. 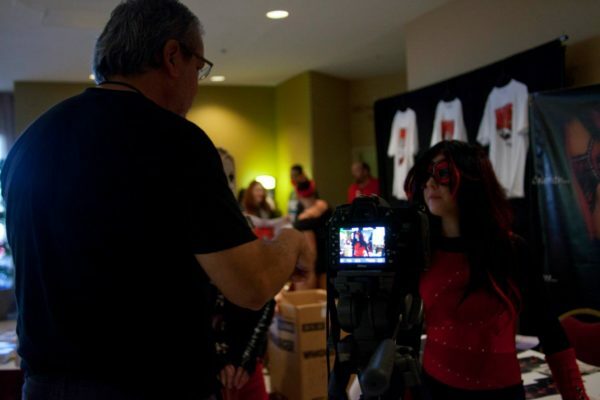 They do it for experience, for demo reel material, for networking, any number of things. I have been blessed to have assembled lots of talented people from all experience levels, from folks who have been on the set of big-budget Hollywood films, to those who have never tried acting before and are dipping their toes in it through my project. And, especially in the DFW area, a lot of actors are doing a lot of things and trying to get more and more work. Big work—paying work. So, you get some people who are good for a few months, and then things pick up for them and you never see them again. Or you get people who don’t take you or your project very seriously, because it’s non-paying. I have some very talented people and I wish I could pay them all what they are worth. I am just fortunate enough that the script and the characters I present to them and the quality that I can put out on the show has been enough to keep them around, at least for a little while. IM: Do you use, or would you consider using crowd-funding? BJL: I plan on using it to help pay for some sound work for season two. One of the big issues of season one was the audio, which was good in places and just brutal in other places. Of course I did all that myself and I will be the first to confess that I know little about sound engineering. I have been looking at rates and people to get to do the work, and will be looking to raise some money to help supplement the money I can put in for it. BJL: I definitely want to give more content, more story than just the episodes of the show. We plan on releasing a digital comic prologue to show the events between the season one finale and the season two première, as well as en epilogue that shows what happens after the events of the season two finale. I’m kicking around the idea of other sorts of untold stories or stories between the episodes. But that takes money to pay an artist for, of course. I had ideas and a plan for season one ‘between-episodes’ comics and still may produce them—if I can get the money together to do them—so the entire story of Party Girl is able to be told. And, of course, we will have shirts, but we’re also trying to figure out what other applicable merch we can have at the ready for the May release of the second season. IM: How is Party Girl distributed? Is it exclusively on YouTube? BJL: Season one and soon-to-be-season two have been online on at the YouTube page for Taurian Films, youtube.com/TaurianFilms. 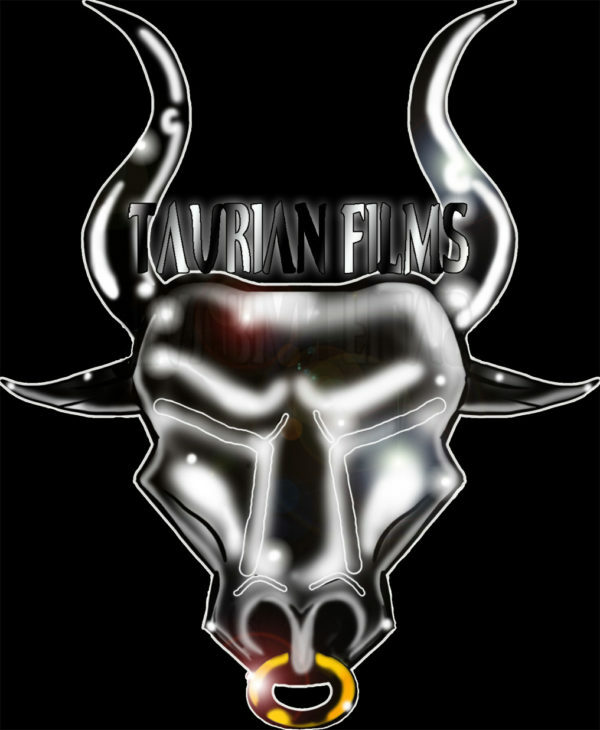 The links are also embedded on the Taurian Films web site. We’re also looking at several other channels, outlets, anything of any kind for us to be able to show the show. Outside of that, the show is on a small handful of Roku channels, both free and premium. We’re looking at having the first season available via the web site or the Create Space page with Amazon. IM: How do you fund Party Girl? BJL: Whatever I can scrape together out of my own pocket, mostly. And we take whatever other favor, donation, anything to keep it going. IM: How do you market Party Girl? BJL: Social media, visiting DFW-area conventions, though we’re looking to branch out soon to events in other states, if they are worthwhile and not too out of the way. We’re starting to look at marketing firms, as well, for help in getting the word out. Putting up flyers, trying to engage people and to get them to check out the show. Still lots more room to grow in that endeavour. IM: Have you got other series you are planning to make? BJL: I have a laundry list of projects on deck. Of course, Party Girl takes up most of my time and thinking, but I do have an action-drama feature that we are developing, with Annie Cruz set to star in it. Of course, that and the other things I do boil down to money. That’s what I want going forth: to do a project and have backing behind me when I do it; that’s the goal. IM: Thank you BJ for taking the time to talk with us! This entry was posted in 82 and tagged BJ Lewis, Louise Cochran-Mason, Party Girl, Taurian Films on March 10, 2015 by aipman1.